Through no fault of it’s own, Dance UK’s first industry-wide conference was somewhat over shadowed by that article. The one that shocked the dance industry and caused outrage amongst vocational dance schools nationwide. Despite the fact it’s not a new conversation, at all. This press-release was incredibly poorly timed. Yes it landed just in time (24 hours before) the Dance UK conference, where there were plenty of people in the room to debate and discuss the points raised in an informed, insightful and (very!) lively manner. However it was also released around the time of the general election. When arts funding is perpetually hanging on by a thread, proclaiming the artists our schools produce (and therefore the schools themselves) aren’t quite good enough is probably not the best message to give our politicians. Fighting amongst ourselves: not good. It’s not a new issue. The debate about the training programmes for dancers offered in the UK in comparison to those across Europe and beyond has been prominent for the past 10+ years. As a response to this, in 2004 funding from the Department for Education Music and Dance Scheme enabled the opening of the first national dance Centre for Advanced Training (CAT) in the UK. Since then, the CAT scheme has expanded across the country to include nine host organisations. Each offer specialised training for young people (age 10-18, though this varies across the country) to prepare them for entry into vocational dance schools and careers in the arts. Arguably, this programme aims to fill the gap in training here in the UK, where entry into vocational dance schools is usually only permitted age 18. There are of course a few exceptions to this, for example Rambert School of Ballet and Contemporary Dance, Royal Ballet School, Tring and so on. However, the leading contemporary dance schools in the country have this age restriction, whereas in Europe and internationally many students are permitted into schools from age 14+. 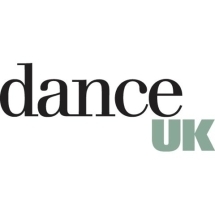 If the article hoped to raise this as an issue within a constructive argument to change training ages, it was overshadowed by the seemingly personal attack on dancers in the UK that “lack rigour, technique and performance skills” according to DV8 Director Lloyd Newson. This is in reference to the broad training that young dancers currently receive in our vocational schools here in the UK. For example, students in their second year at London Contemporary Dance School undertake a compulsory Professional Studies module in their third term. This includes study in ‘producing infrastructure, systems of funding for the arts and self-promotion strategies’ to go alongside their practical dance training. Students also take compulsory theoretical modules in Critical Studies and Design for Performance that are split between the first two years of study. Khan’s comments perhaps shed light on the multi-faceted approach to dance training in our conservatoires. Veronica Lewis (principal of LCDS) stated that the degree programme prepares students for “lifelong careers in dance”, sympathising with the view that not all dance students wish to become professional dancers in large scale touring companies. This does however raise further questions about the design of dance courses in this country. Arguably, degrees in Dance offered at universities such as University of Surrey, University of Roehampton and DeMontfort University are targeted at those with an interest in dance, who do not wish to pursue performance careers. The degree programmes at these institutions offer more varied modules in dance performance, choreography, professional practice, critical thinking and so on, with an equal balance between practical and theoretical modules to reflect non-performance career choices. Arguably, students wishing to pursue a career in dance management, education, producing and the like would perhaps be more suited to degree courses such as these. Historically, vocational dance schools have focused on training dancers of the highest quality, ready for a career in performance and/or choreography. Therefore why is it necessary to study additional written modules that perhaps have little influence in the studio? Which leads to a question of the demands on conservatoires to produce a course ‘worthy’ of a degree title. In order to qualify as a Bachelor of Arts programme, there must be a certain amount of ‘academic rigour’ involved that roughly translates to ‘written assessments’. Does this then compromise the technique and discipline of the young dancers hoping to forge a career on stage? Perhaps the press-release aimed to reignite the conversation about what it is these courses are preparing students for. From the perspective of Khan and Newson, dancers leaving vocational training should have a solid grounding in contemporary dance technique, with the artistry and performance skills to get them noticed at auditions. But is this enough for today’s aspiring dance professional? The article asks the question ‘if students have the ambition to make careers in dance performance, are our training schools equipping them with the necessary skills?’ However, the question should be re-phrased, to consider who is being trained, why they are being trained, and what future they are training for?